For Nigerians seeking to protect their valuables, OneTracQ makes property tracking and recovery easier by using GPS to determine exact asset location.In Nigeria, when a valuable is lost or stolen, many people have little recourse or hope of recovering the lost item. Proactive measures to mitigate asset losses are rare. There has been a surge in security concerns in Nigeria, particularly with kidnappings and theft experienced by every stratum of society. OneTracQ aims to develop GPS-enabled anti-theft technology that enables the tracking and protection of valuable items. OneTracQ will offer a custom-made, 3D printed GPS tracking device that resembles an everyday part of the valuable item, thus being unrecognizable to thieves. 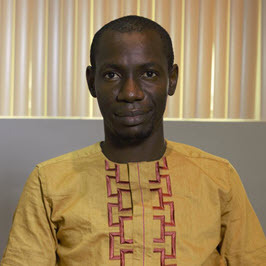 Mubarak’s idea for OneTracQ was sparked when a friend who worked for an engineering servicing company wondered how he could protect a recently acquired portable laser diagnostic equipment from theft. Mubarak saw the potential for applying technology to help his community confront a widespread pattern of security concerns.